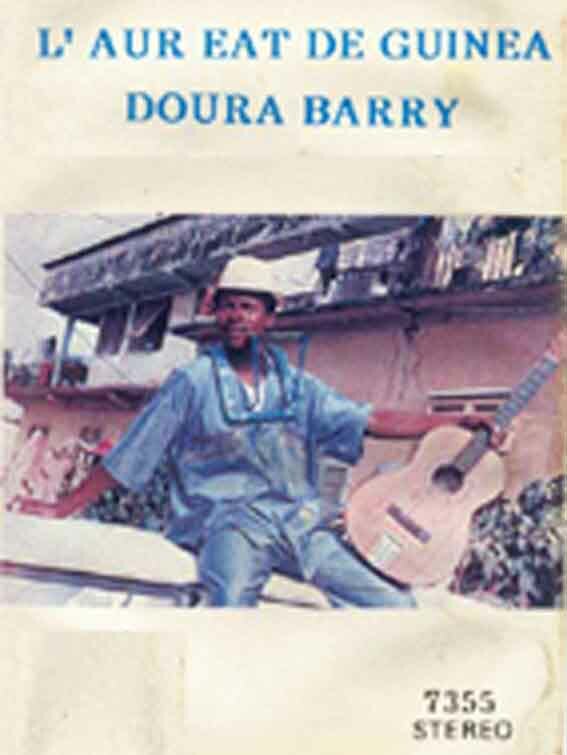 Doura Barry is a vocalist, guitarist and harmonica player. His cassette "Laureat de Guinea" was originally released in West Africa in 1988 and features seven tracks of Fulani power pop. Though poorly recorded, the cassette includes two of Barry's classic hits - "Fili bali" and "Les filles de mon pays". His harmonica work throughout is particularly good, and is set against a tight rhythm section and driving backing vocals. Unfortunately, this marvellous recording seems to have sunk without a trace on the international market. It's worth tracking down, and at the time represented a stunning debut. Barry's only other known release was "Allah Diarama" in the mid 1990s.